Awards constituted only for Musicians and Lyricists of the Tamil movie industry, the press meet for which happened on Friday. Organized by Jayam charitable Trust and Tamilmovie.com, I was invited for the Press meet and much to my surprise I was asked to be one of "dignitaries on the dais". Mr Selvakumar of tamilmovie.com, journalist Ramji, Actor Karan were also the chief invitees. When I was mentioned in the opening of every speech, it felt weird, because singers are not invited on to the dais in events like these. We not only playback, but we are also in the background. Singers are not usually invited for audio releases and sometimes even the music director is not given the due credit which seems to happen only on this side of the map. Or so I would like to believe. They later unveiled the model of the award trophy and presented it to Mr Karan and I. Mr Karan is one of the friendly actors that I have come across and even across a crowded room he makes sure he waves out to people he knows. I got formally introduced to him at the Jaya TV awards that happened on the 31st of December. And happened to give him a small tip that mom and I have been practicing to maintain our weight. Thereafter, when I happened to meet him at another function, I guess it was the Hindu Cinema Plus Party, he mentioned that he is following what I said. At that moment I was like a deer caught on headlights, was almost brain-dead and did not have an inkling of what he was referring to. Some time and retrospection later, it dawned on me. In my address to the press on this particular day, I made it a point to mention that I was not told that I would be asked to sit on the dais, and neither have I ever addressed a gathering from this side. And hoped I was doing it right. I even had to ask the names of the two other gentlemen on stage, who were sitting with us, to mention them at the beginning of my 'speech'. Anyhow, that event went well and I hope it brings good tidings. The best Male Playback Singer is S P Balasubramaniam sir. WoW My Fav singer is blogging ! Happy to know this ! 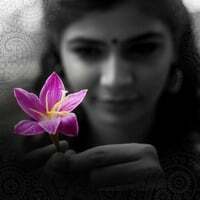 I got a one more place to hang on in cyber world ..
Congrats Chinmayi. Looking nice in that green dress. Will u please give that tip on how to maintain the weight? It will be useful for us too. Long time reader, First time commenting.. You look pretty in this pic. Could you blog on your fav places where u pik ur wardrobe collection. I always wonder where do celebrities shop .